Italian National Olympic Committee (CONI) President Giovanni Malago said Wednesday that eleven cities across Italy would host football matches in Rome’s bid for the 2024 Summer Olympic Games. Among the venues selected for the men’s and women’s tournaments are San Siro in Milan, Joventus’ home ground in Turin, and the Stadio Olimpico in Rome. San Siro is the largest football stadium in Italy with a capacity of 80,018, and the home of A.C. Milan and Inter Milan football clubs. Matches would also be played in Verona, Udine, Genoa, Bologna, Florence, Naples, Bari and Palermo, while the quarterfinals and semifinals would take place in Milan and Naples. Malago said, “11 cities, 11 stadiums – it is from here that Rome’s bid becomes the candidacy of the country”. ANSA reports that in Rome, the definitive stadium for the final is still undetermined, as plans to build a new stadium for AS Roma are currently under review and pending approval by the Region of Lazio. Malago said he hopes the new Rome stadium project will be approved before February 2017, the deadline to submit the final dossier for Rome’s candidature to the International Olympic Committee (IOC). He said, “we’ll see in the coming months how the project goes, because the new Roma stadium could be used not only for football but also as the stadium for team sports, for baseball or other competitions like field hockey, which is now planned at Tre Fontane, or Rugby sevens at Flaminio”. Last week Paris’ bid for the 2024 Games announced that nine venues across France are being considered for football including the Parc des Princes Stadium that would be used for the finals. 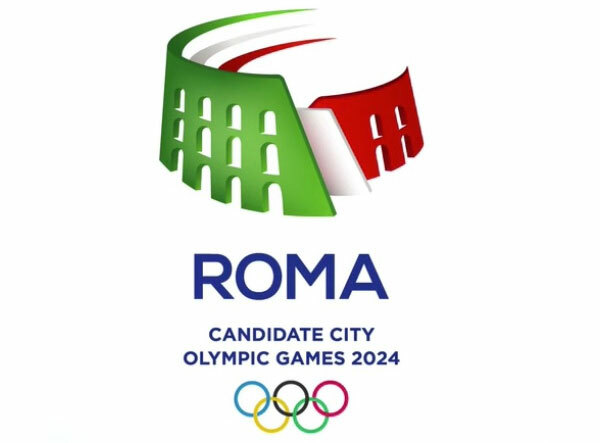 Rome is competing against Paris, Los Angeles and Budapest for the 2024 Games. The IOC is to select the host city in September 2017.